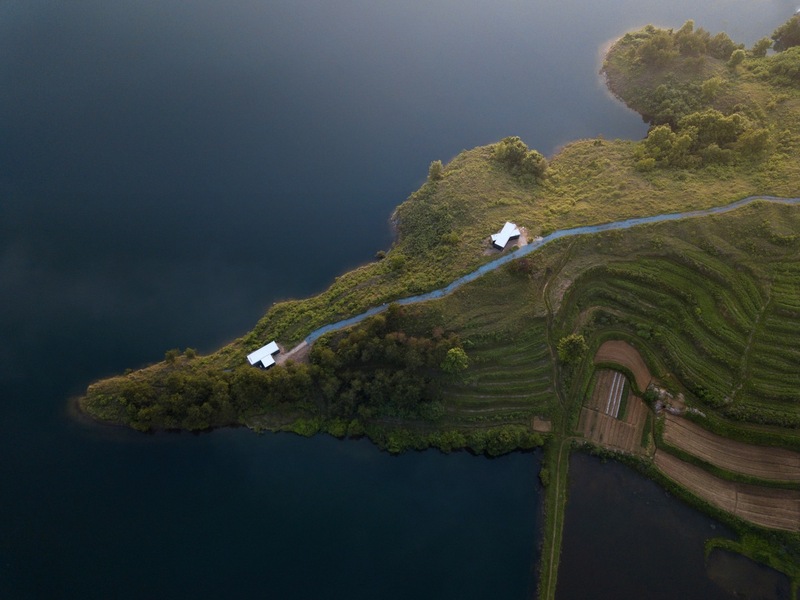 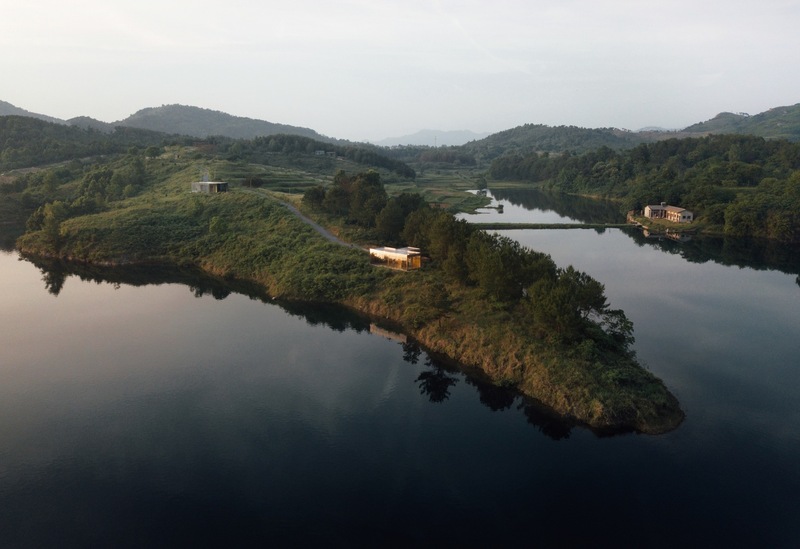 “Island Friends”is located near a reservoir in the suburban area of Wuhan, China on a small peninsula, off the beaten track surrounded by pristine scenery and tranquil waters. 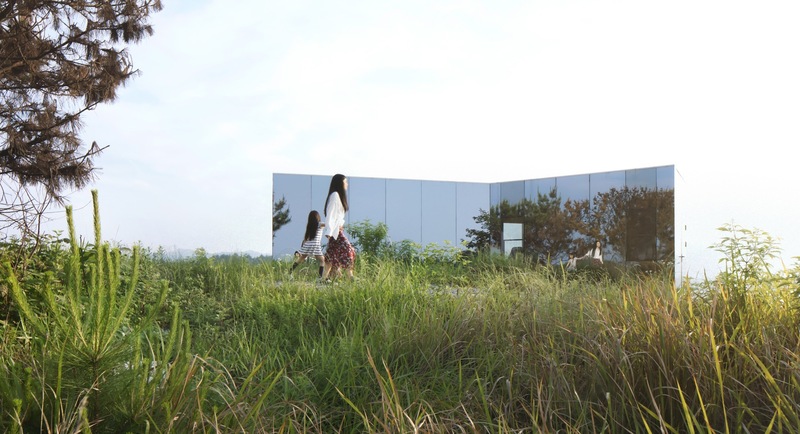 Designed by Advanced Architecture Lab[AaL] + WIKI the project is an exploration of community-based natural life. 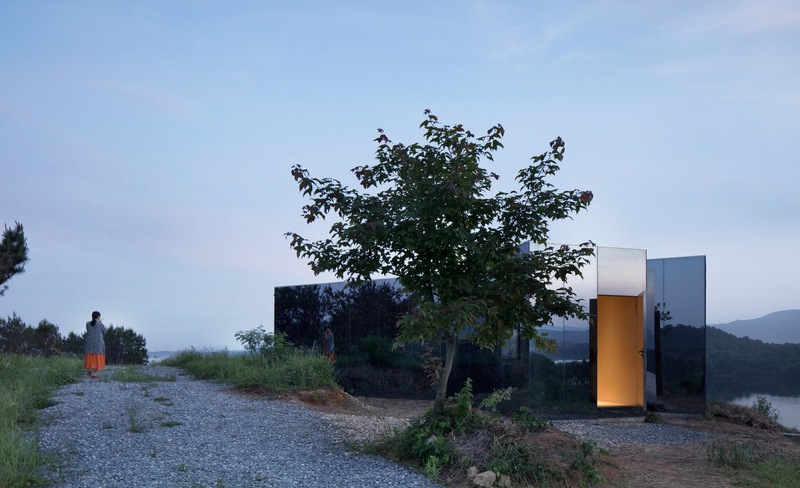 The intention of the project is with the minimal existence of the buildings to make the occupants closer and deeper sense the wild nature. 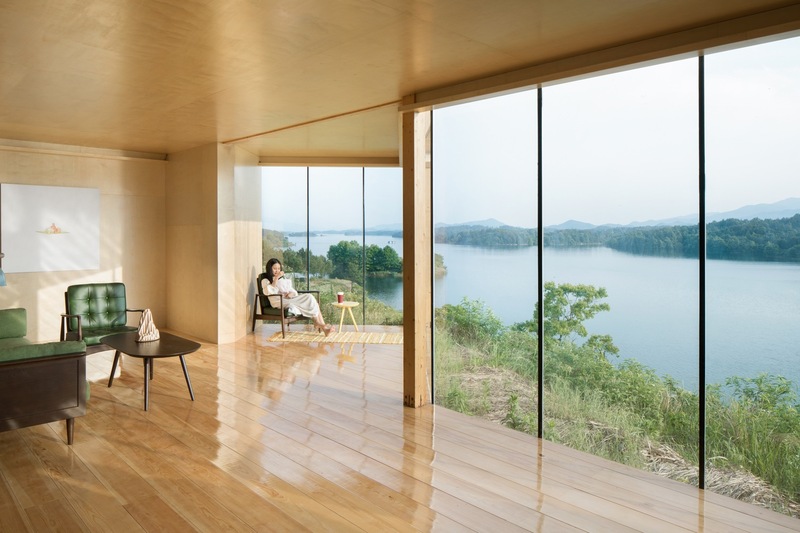 Therefore, all the cabins drink in the views with floor to cleaning glass-work to maximize the connection between outside and inside. 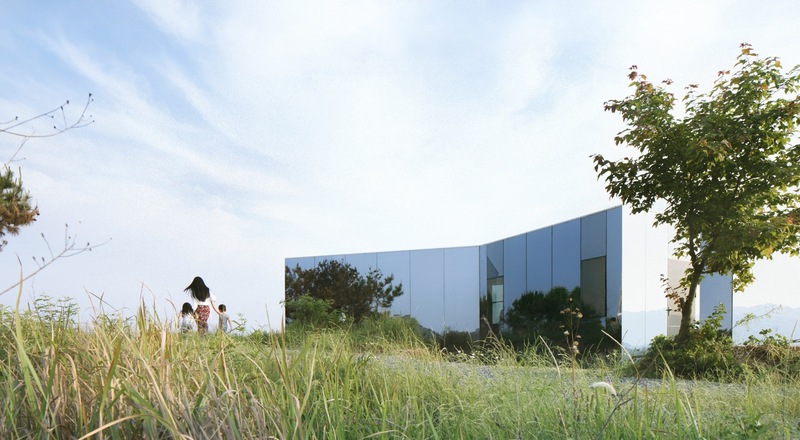 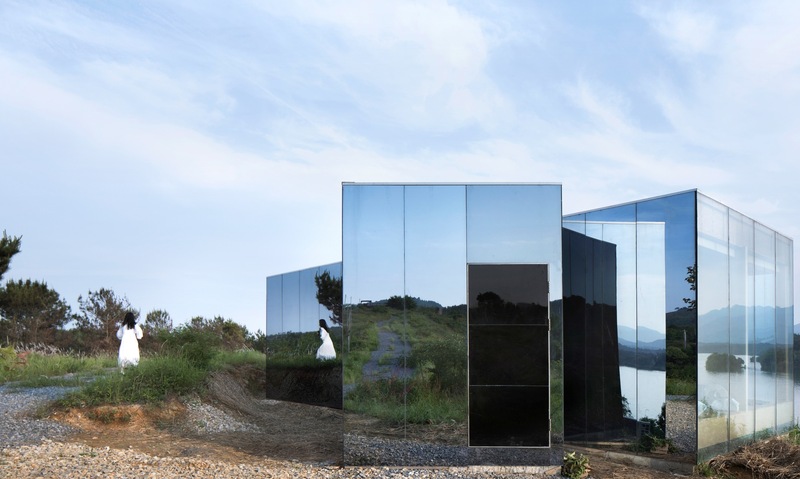 The building is clad in reflective mirrors making the buildings disappear from nature. 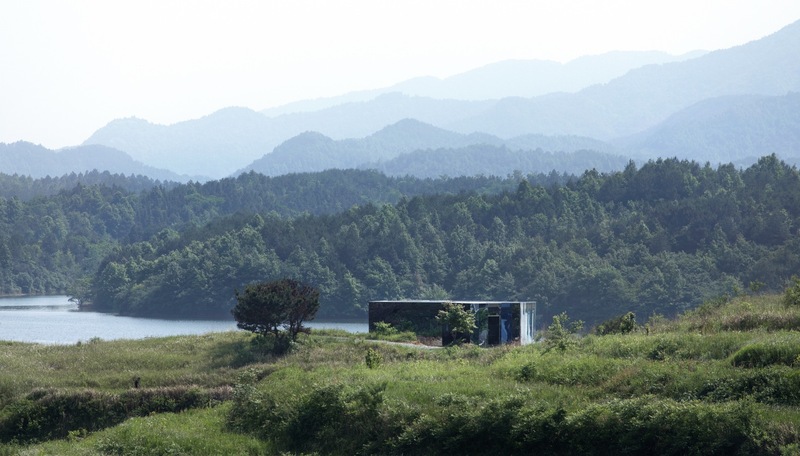 At the same time, it weakens the antagonism between artificiality and nature. 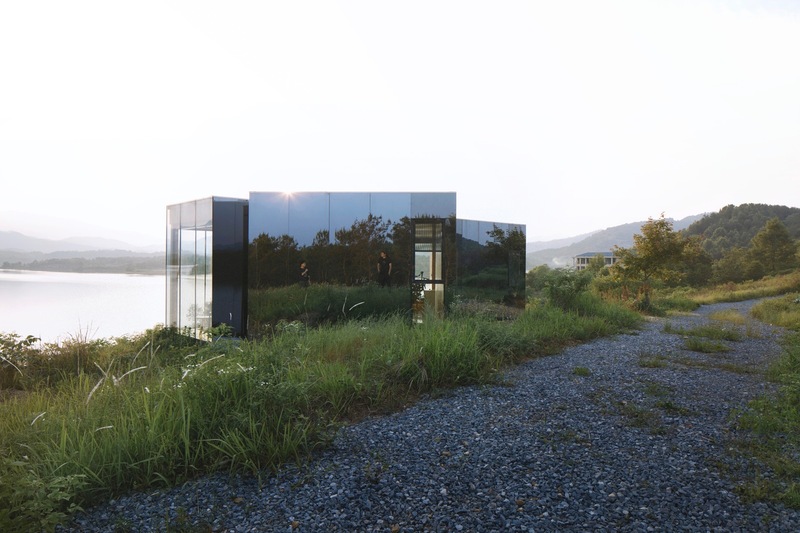 The conflict of opposites makes the building become a part of nature. 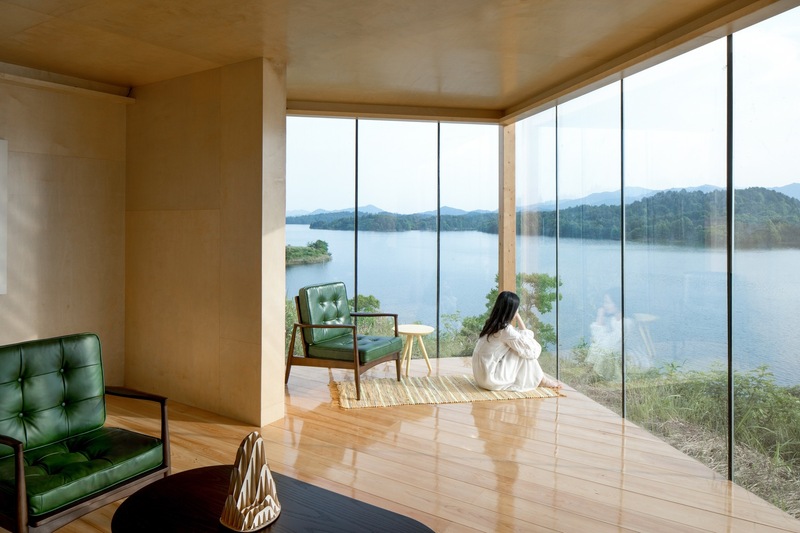 The original intention of the design was not to build a house, but to make the original appearance of the island fully preserved and expressed. 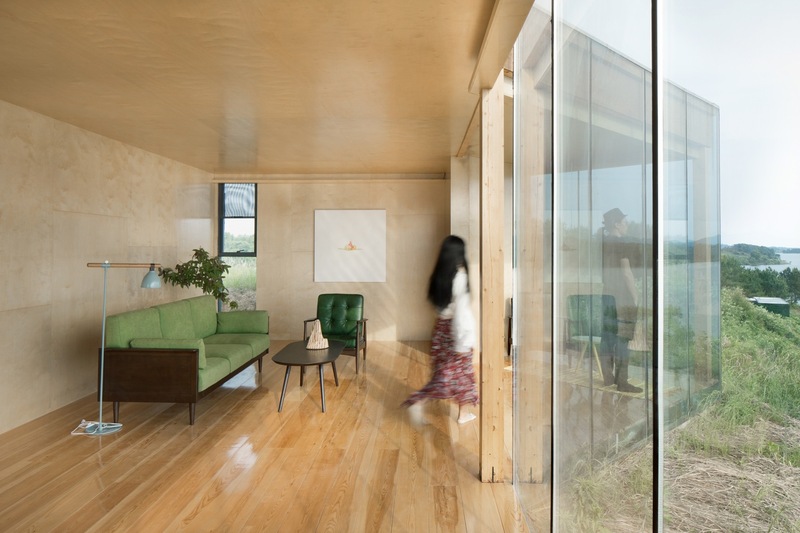 The building is small but cozy, with its wood-interior, the occupants get an introspective space experience and closer to the nature.